Laptop Hard Drive Cover Caddy. Server Parts & HDD Caddy/Tray. 1' Genuine CF29 caddy, original disassemble. Genuine, High Quality and original caddy. Laptop Keyboard. One Hard Drive Caddy for CF-29. You will need your own caddy and install disc ready to install in your Toughbook. 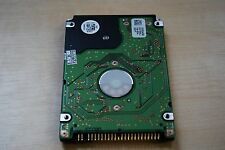 We have up for sale a 80GB IDE / PATA Hard Disk Drive. It does not include the connector. Simply pull the connector off your broken hard drive if it uses one and insert it on the end of your new one. This is a used caddy, all you need is the hard drive. 3 out of 5 stars - Panasonic Toughbook CF-29 hard drive caddy OEM Factory CF-29ETKGZKM TESTED! 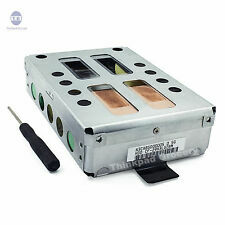 1 product rating1 product ratings - Panasonic Toughbook CF-29 hard drive caddy OEM Factory CF-29ETKGZKM TESTED! Original Genuine Panasonic ToughBook CF-29 Hard Drive. Original Genuine Panasonic ToughBook CF-29 Hard Drive Disk Caddy with NO Hard drive. Disk Caddy with NO Hard drive. Manufacturer: PANASONIC. Condition Detail GOOD PULL, IN GOOD CONDITION. Part Number: MD2155. Includes IDE Connector. What you see pictured is exactly what you will receive . Panasonic Toughbook CF-29, CF-30, CF-28. This caddy use SATA HDD INTERFACE to PATA/ IDE Caddy INTERFACE. This caddy accepts 2.5" SATA (Serial ATA) HDD only. Re-use the External Case with Ribbon Cable to match the caddy! Trending at $14.45eBay determines this price through a machine learned model of the product's sale prices within the last 90 days. Up for sale is a communication cable without plug, that is manufactured by Panasonic. Item is in excellent condition. Panasonic CF18 CF28 CF29 CF37 CF45 CF47 CF48 CF50 CF51 72 73 74 80GB Hard Drive. 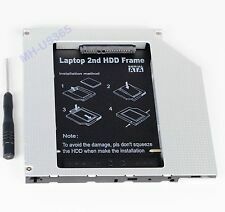 This hard drive work on many other laptop is ready for any IDE laptop connection. NOT HARD DRIVE CADDY INCLUDED". Panasonic ToughBook CF-29 Internal Hard Drive Caddy Tray IDE Connector MD2155 MD2154 (No Hard Drive / Screws Included). If the answer is yes, you are not alone. With plenty of 80gb or 160gb hard drives available online, this drive caddy is your best opportunity to get your Panasonic ToughBook CF-29 up and running very quickly. Universal 2nd 12.7mm IDE-SATA Hard Drive Optical bay Caddy Adapter for Panasonic Toughbook CF-28 CF-29 CF-30. Panasonic Toughbook CF-28 CF-29 CF-30;. Any other accessories like Mounting Bracket or ejector latch will not included. Panasonic Toughbook CF-29 Hard-Drive Disk Caddy. Genuine Panasonic CF-29 Heated Hard Drive Caddy with 80 GB HD. Formatted and ready for your OS. 40GB Hard Drive is installed in caddy. Includes Caddy, Heater Assembly and Hard Drive Connector. Working System Pull. New 80G Hard Drive installed in New Caddy at factory. Complete with Heater Cable and all Shock Mounts. 100 % Unallocated. No partitions. Includes Caddy, Heater Assembly and Hard Drive Connector. No Hard Drive is installed in caddy. OEM Panasonic Toughbook CF-29 caddy w/ 120Gb Hard drive. These caddies include ribbon cable. Does NOT include a Hard Drive. Panasonic CF-29. Model: MD2154. Make: Panasonic. This unit was fully tested and is working properly! We will help to resolve any issues quickly and fairly. Everything included in this ad is shown in the pictures unless otherwise stated.